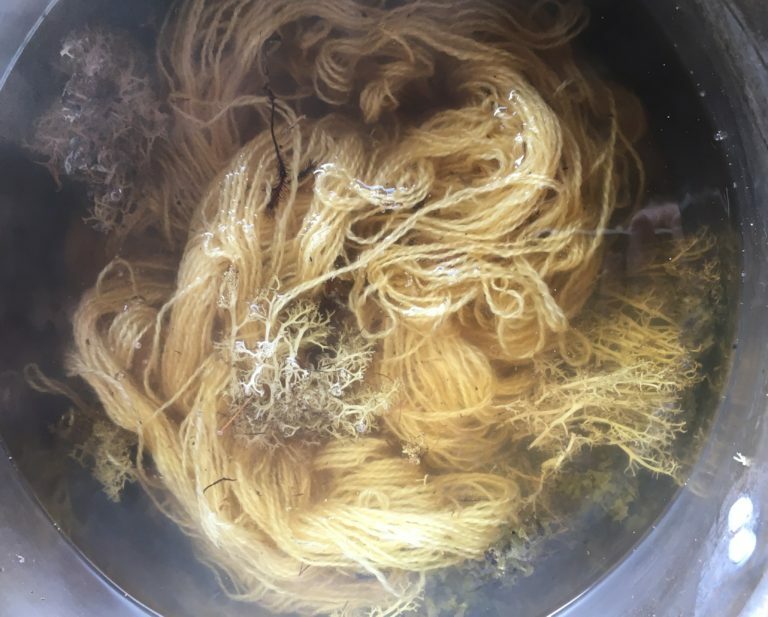 Learn the fundamentals of dyeing yarn with natural plant materials, from preparing the yarn with mordant, to altering pH and using post-treatments. 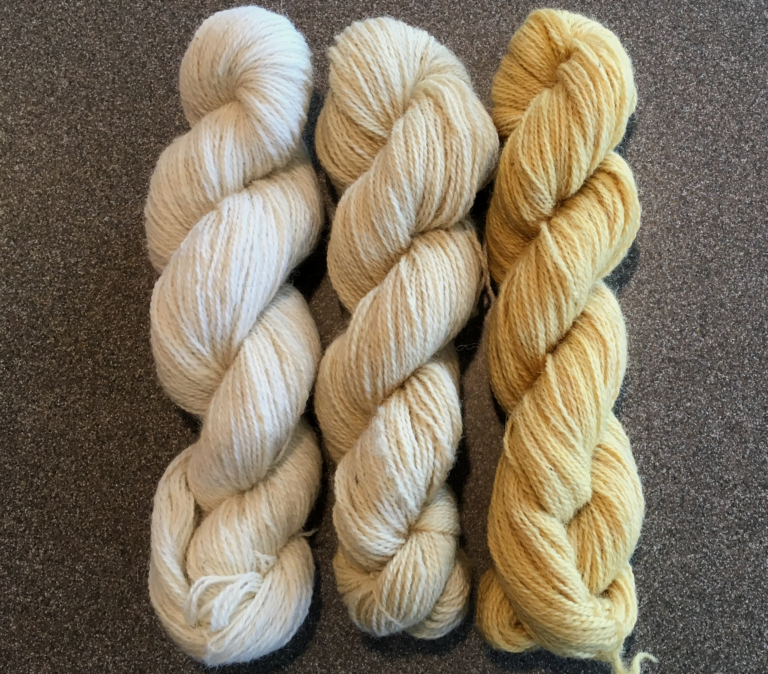 We’ll forage for dye plants at the farm, and we may use kitchen scraps or purchased extracts to create a range of colors. We’ll also try eco-printing on a sock blank using whole leaves and flowers. All yarn and dyestuff will be provided, and students should bring appropriate clothing and personal safety gear*. *For safety, students will be required to: wear comfortable cotton or other natural-material work clothes that fit well and cover the arms (no loose floppy clothing; no synthetics). Be prepared to tie back long hair. Bring with you: dust mask, eye protection, and heat-resistant rubber gloves.